HOW DID WE MAKE THE FIRST TASTE OF A NEW SNACK TRULY MEMORABLE? BY MAKING EVERY ONE OF YOUR SENSES SING! 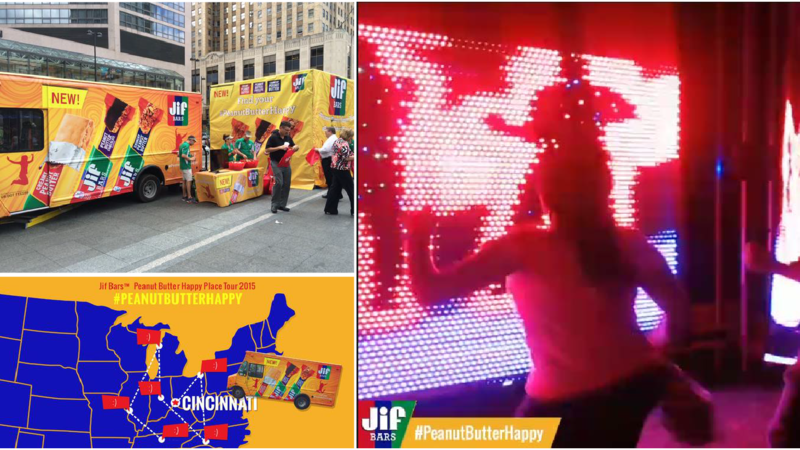 This interactive experience brought to life the happy feelings that Jif Bars can provide by flooding the senses with pure joy. The experience, housed in mysterious cube-shaped tent, showered visitors with the light of 5,000 LEDs. Built-in sensors combined with custom code created realtime illuminated versions of visitors that danced, twirled, and jumped with them as they moved their body to an infectious soundtrack. 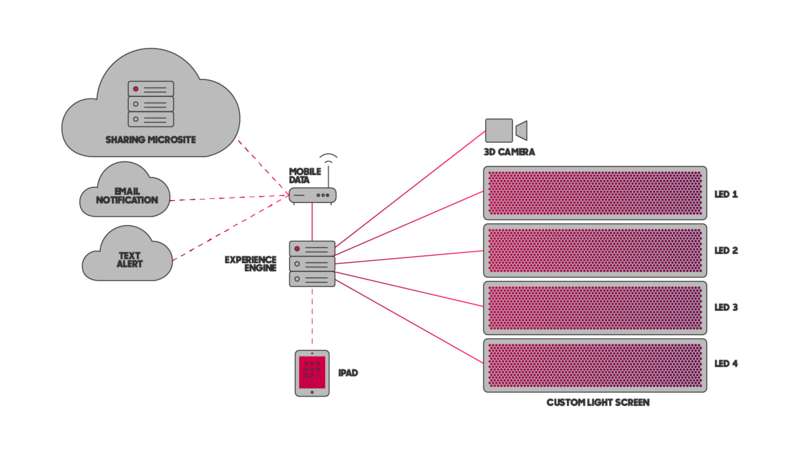 Videos of each experience were automatically filmed, edited, branded, and then sent to the visitor for easy sharing on social media. We designed and fabricated the entire interactive to be portable so that it could go on an amazing road trip across the midwest bringing Peanut Butter Happiness to the people.